Reported by Mike Feeney, photographs by Trevor Nixon. Already the South Pacific's warbird ""Mecca"", Wanaka is now home to New Zealand's first Aero Vodochody L-39 Albatros - one of the loveliest military jets ever to fly. 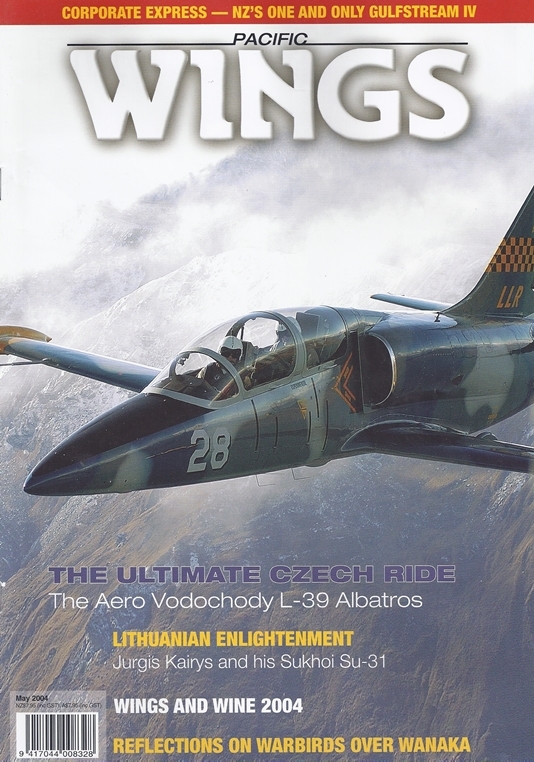 Rob Neil looks at the aircraft and talks to owner Robert Broek about hopes to offer the ultimate ""Czech-rides"" in the L-39 from its new alpine paradise home. Before the start of his flying display at this year's Warbirds over Wanaka Nigel Lamb, manager of the Breitling Fighters and pilot of the team's Spitfire, spoke with Justin Lean about the business of warbird flying. To most who attended this Easter's Warbirds over Wanaka airshow, a clear highlight was the performance of Jurgis Kairys, flying his Su-31 Sukhoi ""Kuzoku"" aircraft. Stephen Witte spoke with the Lithuanian and discovered he is as humble as he is talented. Gulfstream aircraft have long been recognised as the business world's ultimate success symbols. Peter Clark experiences first hand the speed, style, and quality of New Zealand's only Gulfstream IV and explains why the reputation is well deserved. Additions, deletions, and changes of ownership on the New Zealand civil register. By Dave Paull. A photo-essay of the recent Warbirds over Wanaka airshow.